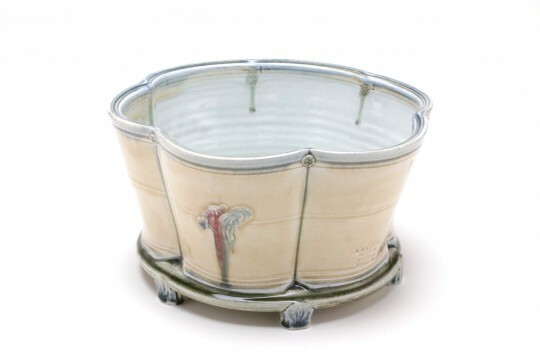 An unusual and lovely pot. Making these pots is quite self indulgent. 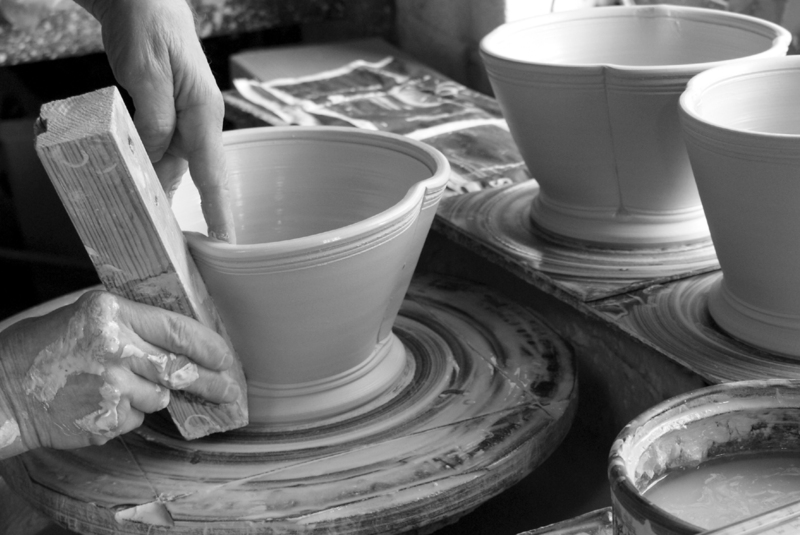 They are pleasing shapes to throw, but, if I can catch them when they have dried just the right amount, the shaping/fluting and stamping is an immensely satisfying process. The feet are then applied while still soft, and the pot gently pressed down on them to leave it standing evenly. 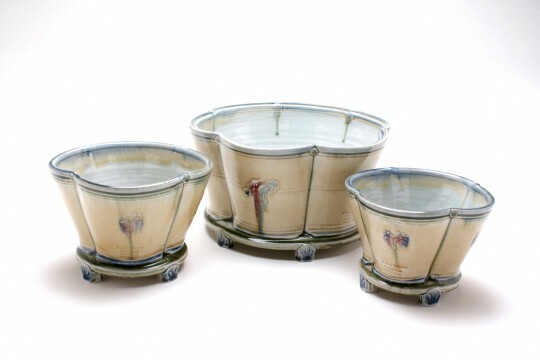 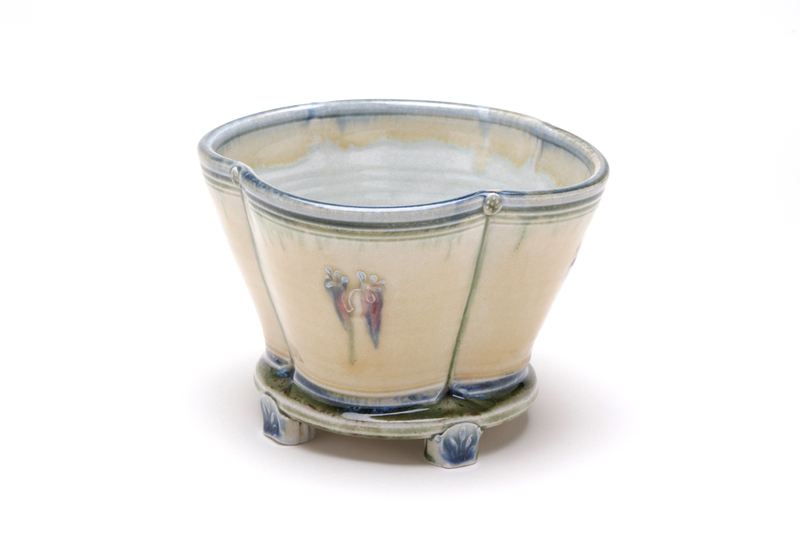 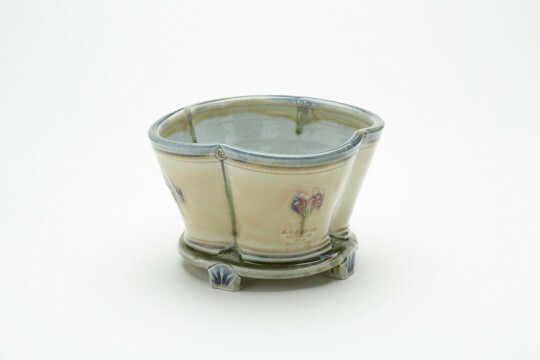 The cream glaze seems to compliment the detailing on this fluted pot very well.